Glass table carpet nyc|Bear Glass +1-718-832-3604 | Bear Glass a full glass fabricator in USA. Glass table carpet is an important part of your glass cutting table. It improves your glass cutting table performance. Bear Glass offers you premium quality glass table carpet in an unbelievable price. Only $35 per Sq ft. This carpet is black in color for high visibility necessary for viewing glass cuts which improves cutting yields & reduces material loss. Viewing score lines and detecting glass chips to avoid scratching glass is easy because of its black color. This is not indoor/outdoor carpet, it is specifically made for high use wear and the high density gives you the perfect cushioning effect needed for your glass cutting table. Why you purchase Glass Table Carpet from Bear Glass? Unbelievable price is one of the top reason to choose us. High quality carpets that improve the performance of your glass cutting tools. The perfect black color Gives High Visibility for Seeing Glass Cuts. Improves Cutting Yields & Reduces Material Losses. Carpet is custom cut to your table size or provided on lineal foot basis. The long wearing & non scratch surface improves the quality and life of the carpet. carpet is smooth and wrinkle free. Bear Glass also ship the carpet to your location. If your table is equipped with air check ball/chambers then remove the chambers before installing the new carpet. new carpet will be supplied slightly oversized for ease of installation. Layout your carpet and precut to your desired size making sure to leave excess material to overhang each edge. Using a scraper blade clean excess old glue or carpet debris from the table top surface. Failure to properly clean your table top will result in your new carpet being installed with lumps or bumps underneath the carpet covering. Using a serrated tooth trowel spread a light even coating of acrylic latex low shear adhesive carpet glue on to the wood top of your table. The recommended adhesive is All Purpose 222 Latex Base Carpet Glue by L.B. Brinkman. Make sure that you are using low shear adhesive glue rather than high shear glue as low shear glue insures in ease of removal of the old carpet when future replacement is necessary. Use of a high shear adhesive will result in difficult removal of old carpet. After spreading the adhesive over the wood table top position the carpet for the desired overhang on each table edge. Apply pressure to the carpet to make sure the adhesive becomes in full contact with the carpet. Pressure may be applied by hand, sliding a smooth heavy item over the table carpet or by rolling with weighted carpet roller. When the carpet is smooth and snug to the table top then weigh down the carpet to allow the adhesive to cure. 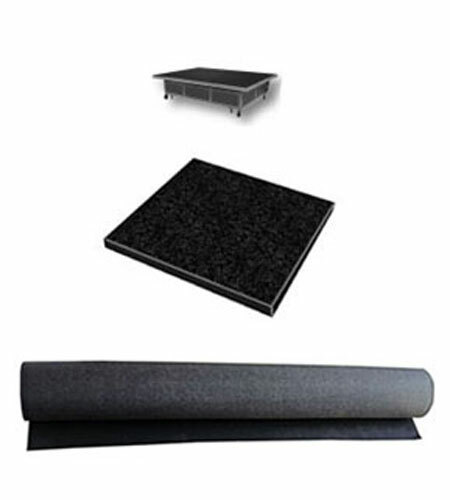 Weighting can be achieved by placing glass sheeting, particle board or sheet metal on top of the carpeted surface. When the adhesive is cured cut out the openings for the ball check chambers and reinstall the chambers. To handle the excess carpet around the edges wrap the carpet underneath the table edges and staple. Always remember Bear Glass is a full glass fabricator. We do everything in glass and mirror. So not only for Glass Table Carpet but call us for any of your glass and mirror need.